Singer Wande Coal had earlier this week been involved in a baby mama drama. A woman named Temitope came forward to say their son of 10 years was abducted by the singer 8 years ago. 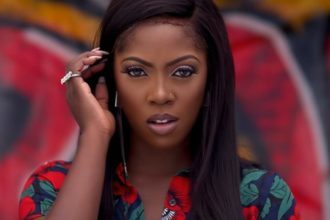 According to the report, she had dropped out of secondary school at 16 after being impregnated by a then 23-year-old Wande Coal. Although he denied that the child was his, the report said, he later accepted him after a paternity test was done. The mother, Temitope, said she’s been unable to see her child since then. She alleged that Wande Coal and his mother had abducted the child and refused her access to him. 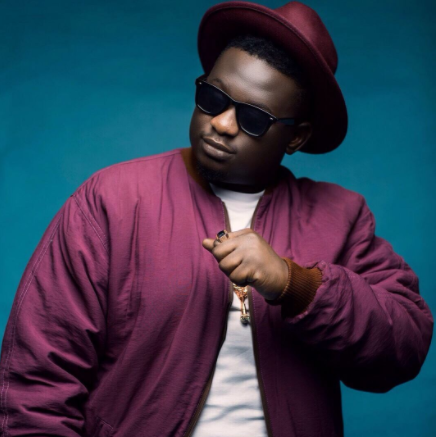 Wande Coal has debunked Temitope’s account, telling his own side of the story. Temitope was 20 when they met, he said. He added that the report about her being refused access to the child is a lie. I want to start by saying that the only truth that has been said so far, is that the child is my son. Everything else is a lie. I honestly do not want to say much because at the end of the day, this is family and Temitope is the mother of the child but I must clarify a few things that she has failed to mention to blogs and websites who have refused to fact-check this story. Things that she has used to attack my character and the reputation of my family. Temitope has failed to mention to the public that she did not tell me she was pregnant with my son. I didn’t even know she was pregnant. She married another man and claimed that the child was his and she never told me. We (my family) only knew about the child after her husband and other people, including her aunty, found out the child looked like me. She was returned to her family with the child. The Child was taken to D’banj’s mother who then reached out to my mother and asked for a paternity test to be done. This is why the paternity test was done in 2010 and not 2008. The house the Mo’Hits Crew stayed in at the time was owned by Dbanj’s mother and as Mo’Hits grew, everyone moved to the Maryland house. I did not leave the neighbourhood. Everyone knew where we moved to. After we confirmed that the child was mine, my mother visited Temitope and everyone agreed that the child needed a cleaner and better environment. My mother took the child, Temitope and her sister to our house for a week. After that week, Temitope left and has not returned since to check on the child. Not even on his birthdays. In 2011, my mother reached out to Temitope and told her that she was disappointed in her. Temitope promised to come visit the child. She never did. Temitope was in a “fashion school” which she left for reasons best known to her. Not because of the baby as she was married to someone else. My mother paid for a full session in another fashion school to make sure she had something to support herself. Temitope stopped attending three months after she started. If my mother didn’t want to see her, or allow her near the child, why would she do that for her? The only reason I will not press charges is because she is the mother of the child. Temitope, stop telling lies. You have a chance to correct this error. No one has stopped you from seeing the child. No one will. I am focused on my career and building a future for my family and if you truly care about the child as you claim, you and your family should reach out to my family.